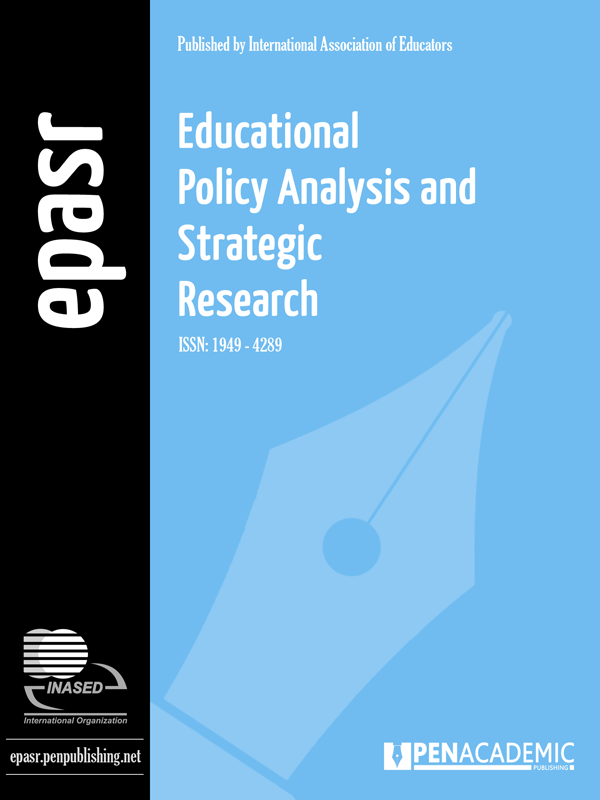 Educational Policy Analysis and Strategic Research (EPASR) is a peer reviewed interactive electronic journal sponsored by the International Association of Educators and in part by the Graduate School of Library and Information Science at the University of Illinois at Urbana-Champaign. EPASR is a core partner of the Community Informatics Initiative and a major user/developer of the Community Inquiry Laboratories. EPASR takes an interdisciplinary approach to its general aim of promoting an open and continuing dialogue about the current educational issues and future conceptions of educational theory and practice in an international context.